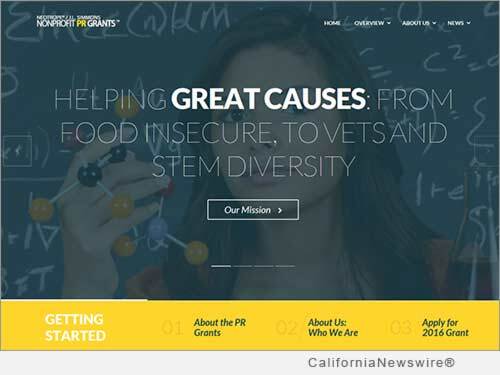 TORRANCE, Calif. /California Newswire/ — Los Angeles-based Neotrope, a 32-year-old brand marketing, PR, and content development firm, today announced the launch of its 2016 annual PR Grants program for U.S.-based 501(c)3 charities. Launched in 2000, the Non-Profit PR Grant was designed to help raise awareness of selected charities to traditional media, to the public, as well as to potential "halo" sponsors and donors. Starting in 2013, the Grant was re-named after the company co-founder, the late Dr. J.L. Simmons, PhD, who passed away in 2003. Now the Neotrope PR Grant program is known as the "J.L. Simmons Non-Profit PR Grant." As part of this in-kind grant program, Neotrope is providing news dissemination (through its Send2Press(R) Newswire service), and social media marketing for the selected applicant charities. Average value of each grant is $2,500 and will be offered to as many as 100 non-profit organizations "doing good" on a local or national level for 2016. Total potential in-kind value of the program is $250,000. "We've been helping worthy causes in one form or another for over 30 years," says Christopher Simmons, member PRSA and ASCAP, and Neotrope CEO. "When we launched the Non-Profit PR Grants in 2000 we felt it more useful to help out an organization by using our services and expertise, over giving charities a small cash donation. More than 15 years later, we're very proud to have successfully helped many worthy causes raise awareness, raise needed funds and get media coverage with this PR Grants program." Simmons adds, "This year we've taken a slightly different approach. In prior years we ran into an issue where some charities simply never followed through to utilize all the grant deliverables, and so it was wasted. So, for 2016 we will be doing something much simpler for each charity, with less hand holding, removing the advertising component — but making it available to a much larger pool of worthy causes." There is no fee to apply, and applications are being accepted now through Jan. 1, 2016 at http://prgrants.com/. Complete grant requirements and disclaimers can be found on the grants website. With this cause-related marketing grant program, Neotrope has been honored to help many worthy causes in past years, including the Bob Moog Foundation, Children Awaiting Parents, Girls Write Now, Move for Hunger, Pacific Pinball Museum, The Native Voices Foundation, Special Equestrians, Starlight Children's Foundation, World Savvy and dozens more (list available on the grants website).